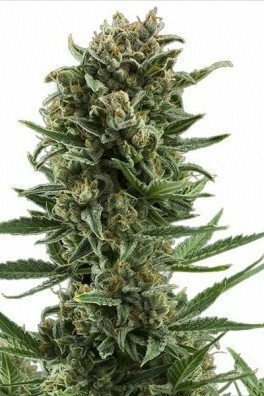 For the autoflowering grower wanting to experience some of Amsterdam's finest, we have taken the renowned White Widow and crossed it with Ruderalis, to make one for the books. Being ready for harvest 10-12 weeks after germination, this White Widow Autoflowering will knock your socks off. Almost nothing is better than the great White Widow. This classic strain has been a parent to a wide variety of other big names in the cannabis canon. Generally an indica-dominant hybrid, White Widow Autoflowering runs between 40-65% indica, 35-40% sativa, and up to 20% ruderalis. 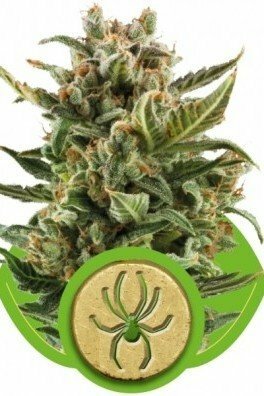 This particular variety holds true to the historic strengths of White Widow in both potency and flavor, and its short grow time and consistency pleases grower and user alike. One of the best qualities of White Widow Autoflowering is its ease to grow. Growers no longer need to worry about changing light cycles for this autoflowering strain. The plant eases into a fairly quick harvest time, taking 10-12 weeks to grow from seed to harvest. White Widow Autoflowering produces bud that sees potency tests ranging from 9-14% THC and offers a low-to-medium CBD content. Growers should not worry about the size; White Widow Autoflowering can fit into any grow situation. If grown indoors, this plant will stay on the short side and yield some of the best, stickiest buds at 400-500g/m². Outdoor grows get stellar results with plants growing around 50-110cm and producing a yield of 40-160g/plant. White Widow Autoflowering produces an abundance of white crystals to frost the resinous bud that connoisseurs know and love. The extreme potency explodes the mind with often intense euphoria and a pleasant energy. It can be the best late night party experience, helping to kindle creativity and ease conversation through the evening. After the party ends, the indica dominance brings on a good night's sleep. This strain is also great to take outdoors on a camping trip. The strong earthy and woody flavors mingle well with long strolls under the forest canopy, sitting by the fire roasting marshmallows, or giggling in a smoke-filled tent.